Summer... Is that you?? I can feel the beautiful weather trying and trying to remain constant, and its almost there!! We recently had a day out at Seri's house in Long Island, which acts as LMP headquarters in the summer, and it got me thinking about the warm weather and summer cocktails. Most of you know the frozen version of a daiquiri that you sip on a beach in the tropics with an umbrella sticking out of it... but did you know that the traditional daiquiri is served on the rocks? Me either! Upon doing some research, I learned that the essential ingredients to make a daiquiri are rum, ice and lime. With the option to add fruits for flavor variety, of course. I LOVE me a good frozen strawberry daiquiri, but since it's not quite beach weather, I decided to make a more traditional Strawberry Lime Daiquiri to get me through the transition. 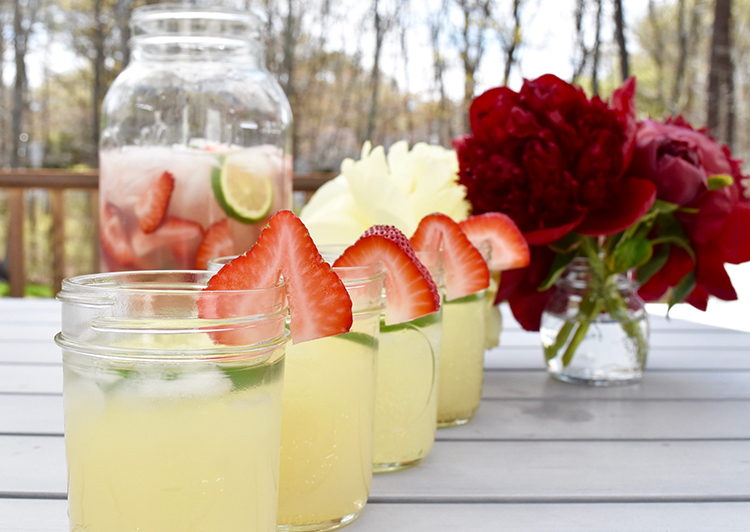 Here's what to do: 1) Add ice to each of your cocktail glasses, enough to fill about half of the glass. 2) Add 1 oz. of rum to each glass. 3) Add 1 oz. of simple syrup and 2 oz. 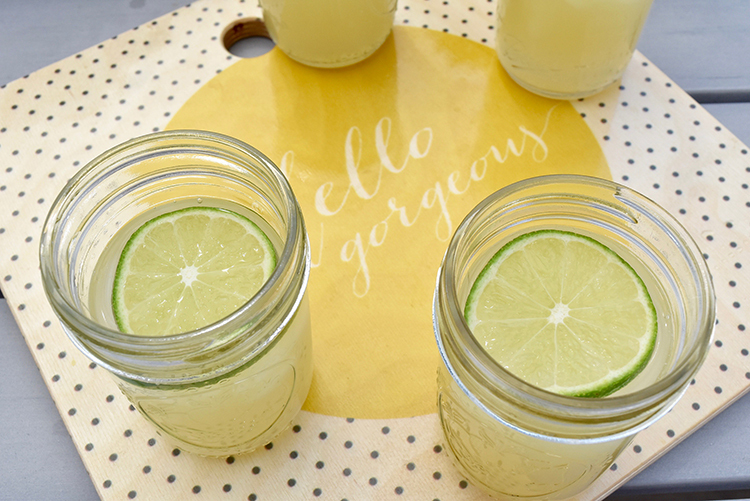 of lime juice to each glass. Stir gently to combine ingredients. 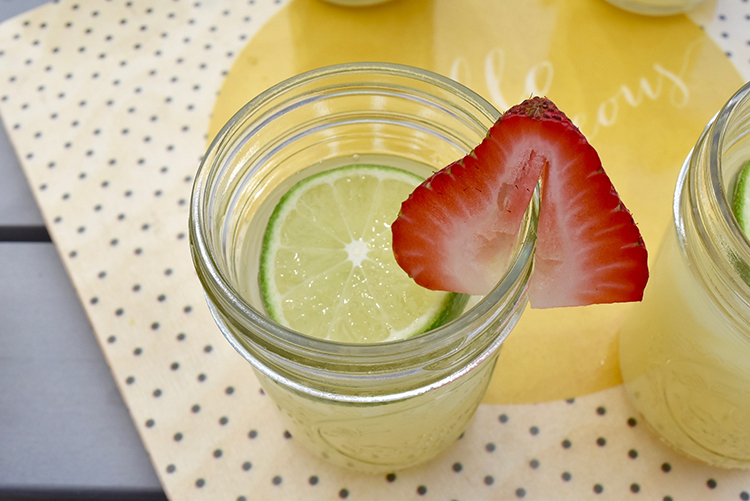 4) Add fresh lime and strawberry slices to each glass for garnish. Muddle into drink for added flavor. Cheers, you're done! 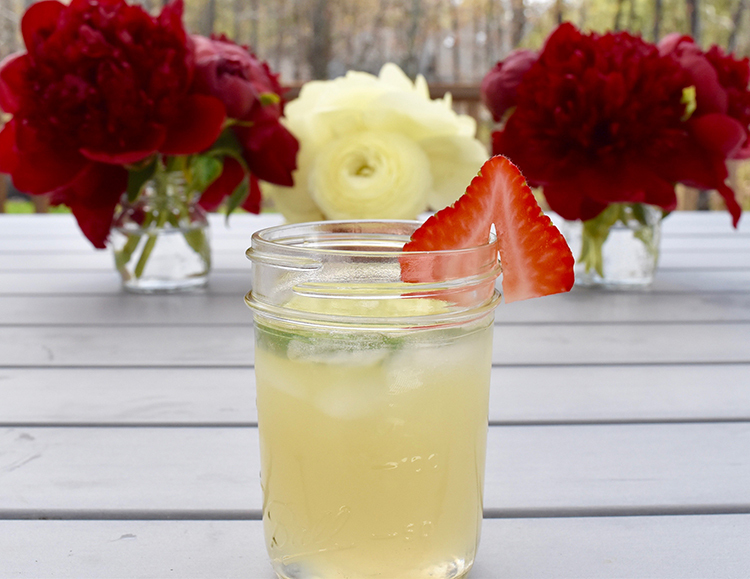 This drink is light and refreshing, and a twist on a daiquiri that won;t give you a brain freeze. 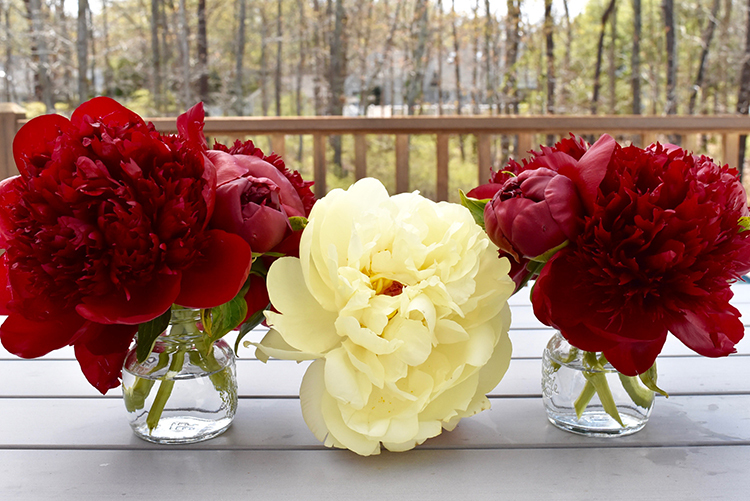 I styled this drink in mason jars and with some leftover peonies from an event we had last week in yellow and red, which really complemented the colors of this drink and made it pop.